Anything else would be sacrilegious. The Mercedes-Benz G-Class has been around for years. Since 1979, to be precise. Despite regular updates, it’s time for a complete redesign, which could debut as early as this September at Frankfurt. But what, exactly, can we expect from this iconic model? Will it continue with that boxy design? Yes. Absolutely. However, everything else will be new. Daimler’s design chief, Gorden Wagener, spoke with Automotive News at New York last week, confirming everything will be new, with one exception: "a small plastic lip on the C-pillar." That’s it. "You have to keep it boxy," Wagener stated. "You have to treat it very responsible, otherwise it wouldn’t be a G. So it still has to be edgy." That said, Wagener’s design team was still instructed to improve the proportions to make them "a bit more grown up," as well as cleaning up the "little edges and busy stuff." What we can be sure of is that the new G-Wagon will continue to be a true off-road capable SUV, but improving fuel economy is still a key factor. Mercedes has so far been mum on the details, but the 4.0-liter twin-turbo V8 with 416 hp and 450 lb-ft of torque will likely continue as the base engine. 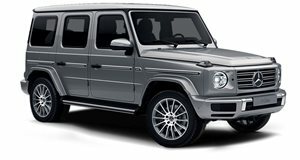 The uber powerful AMG G63 and G65’s hand-built engines will also come back, but don’t be surprised to see a hybrid or plug-in hybrid G-Wagon arrive in the not too distant future as well. 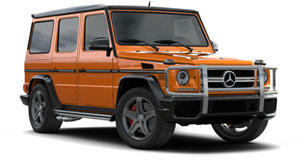 In any case, be assured the next G-Wagon will continue the tradition of off-road box admirably.